The first half of the MLB season definitely wasn’t what Sox fans were hoping for, but it was exactly what many of us feared would happen. The Hanley Ramirez and Pablo Sandoval signings have brought back shades of Carl Crawford and Adrian Gonzalez and lack of pitching has been a problem. No surprises there. Mike Napoli, who has allegedly recovered from sleep apnea but has shown absolutely no signs of it on the field. Nap’s pathetic .193 average has forced John Farrell to put David Ortiz at first base, which apparently Papi isn’t too pleased with. Joe Kelly, who was supposed to be the best pitcher in the starting rotation and ended up being the worst. He’s currently in the minor leagues after starting the season 2-5 with a 5.67 ERA while the pitcher we traded for him last year (John Lackey) is helping the best team in baseball with his 7-5 record and 2.99 ERA. We also got Allen Craig in that deal, who is also in the minors. Rick Porcello, who won 15 games with the Tigers last year and has started off 2015 at 5-9 with a 5.90 ERA. Wade Miley has been up and down but I never expected much from him anyway. Clay Buchholz has been Clay Buchholz. He was pitching well before he ended up on the DL a week ago but I’m still waiting for him to fold every time he takes the mound. Consistency has never been his thing so I would be pleasantly surprised if his recent stretch carried to the end of the season. He is expected to return to the rotation soon.. The few bright spots have been some of the young guys. Mookie Betts, Xander Bogaerts, and Eduardo Rodriguez who, at age 22, appears to be our most consistently reliable starter. And let’s not forget about our lone All-Star Brock Holt. Unfortunately, Holt was also the Sox’ best player last season. Don’t get me wrong, I’m happy for him and he definitely deserved his All-Star selection, but if Brock Holt has been the best player on your team for the last year and a half then your team has some major underachievers. 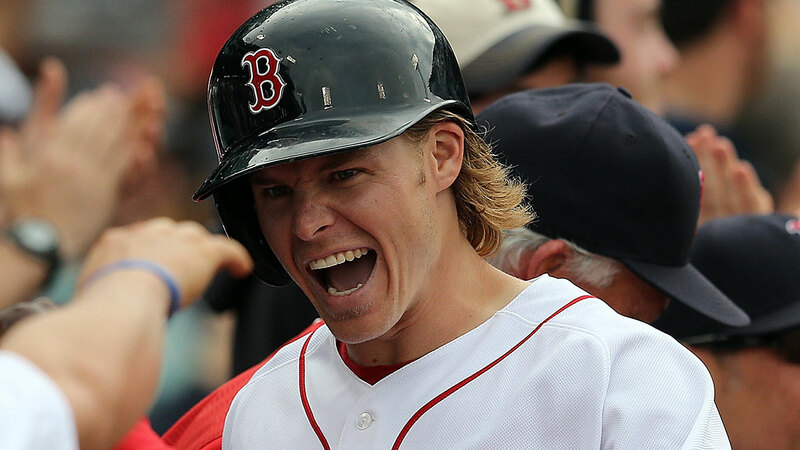 Brock Holt isn’t supposed to be the best player on any team. He’s a solid, versatile role player who can play any position and always makes the most of his opportunities. The kind of guy you’d love to have coming off the bench if you’re playing for a championship. The Red Sox have a surplus of players who are more talented than Brock, but none of them are playing up to their potential. Although 15 homers and 43 RBI’s at the All-Star break isn’t bad for someone who’s 39 years old, Papi’s .231 average is well below what were used to seeing from him (he’s a career .283 hitter). Hanley Ramirez has performed offensively (.274, 19 HR, 46 RBI) but has been nothing short of atrocious in left field. Pablo Sandoval has been fairly mediocre. Dustin Pedroia was an exception to this trend of underachievement before he went down with a leg injury about a month ago. Pedey hopes to pick up where left off tonight as there have been reports that he will be returning to the lineup. He was hitting .306 and had already matched his home run total from last year (9) before landing on the DL. His return will help both offensively and defensively, but unfortunately he can’t pitch. This team is fully capable of winding up in the playoffs. Despite what has been a miserable season for the most part and despite the fact that they find themselves at the bottom of the AL East, the Sox are still only 6.5 games out of first place. It’s a good year to mediocre in Major League Baseball because there really aren’t many great teams. But if the Sox have any hopes of making the postseason, everyone (and I mean everyone) on their 25-man roster has to play better in the second half than they did in the first. Hopefully they can give us something to be excited about in the late summer months.